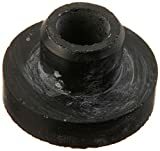 Stens 125-336 fuel tank bushing id: 3/8 ” od: 1 1/16 ” height: 5/8 ” material: rubber fits 33/64″ diameter tank hole ethanol: not compatible with greater than 10% ethanol fuel. Made By An OEM Supplier. For Proper Ordering; Reference Warner Or Ogura Part Number Stamped On Clutch. 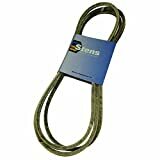 Stens 265-230. REPLACES OEM: Cub Cadet: 754-04044, 754-04044A, 954-04044, 954-04044A, Massey Ferguson: 954-04044, MTD: 754-04044, 954-04044, 954-04044A, Troy-Belt: 754-04044, 954-04044, 954-04044A, White: 754-04044. 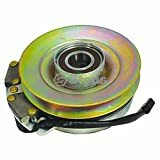 FITS MODELS: Cub Cadet RZT, RZT22, RZT50 with Briggs & Stratton, Intek or Kawasaki, 17AA5A7P710, 17AA5A7P712, 17AI2ACP, 2010 and older; 17A12ACP009, 17A12ACP010, 17A12ACP056, 2008-2010; 17A12ACP256, 2008 and 2009; 17A12ACP709, 17A12ACP710, 17A12ACP756, 17A12ACP, 17BA5A7P709, 17BA5A7P710, 17BA5A7P712, 17R12ACP056, 17R12ACP256, 17W12ACP010 and 17W12ACP056, 2010. MTD ZT-5000, 17AA5A7P790, 2004; 17BA5A7P790, 2005; 17AA557P790, 2006; 17AD2ACP790, 2007; 17AK2ACP597, 17BK2ACP597, 17AK2ACP090 and 17BK2ACP090, 2008 with 50″ decks. Yardman RZT50, 17AC2ACG055 and 17AF2ACP001, 2010 with 50″ decks.